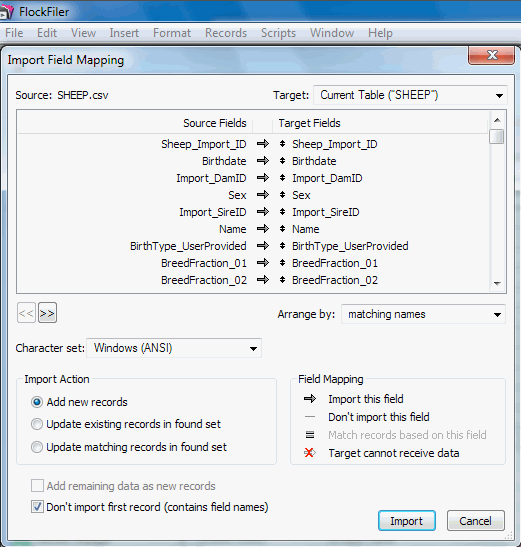 Import Field Mapping Dialog example when importing records. The powerful import function of FlockFiler Lite lets you automatically read in records in from a spreadsheet or other file and place that information into any data entry field. This makes quick and easy work of reading in all of your existing electronic sheep records when you are getting started with FlockFiler Lite.